A custom made personalized hand-stamped round metal nameplate option, in your choice of aged brass, or copper. 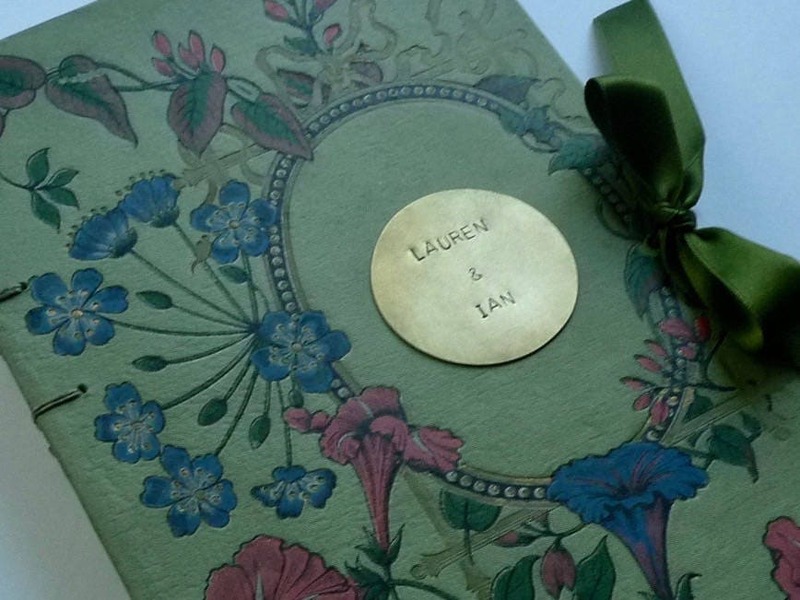 LISTING IS FOR THE NAMEPLATE ONLY, guestbook/journal is ordered separately. Photos are stock images, please refer to sizing & guidelines for ordering below. ••Please include your choice of text in the notes to seller so I know what to stamp on your plate. If your text is too long for your requested font size, I will use the smaller font. Looks absolutely on our book!